The West Sussex winery joins the portfolio of Guangzhou importer The Wine People, which will distribute the estate’s still and sparkling wine to the world’s most populous country. The deal, brokered by English wine exporter The British Bottle Company, is believed to be a first for an English producer. Some have a presence in Hong Kong, but mainland China represents a far larger opportunity. China is considered a huge market opportunity by wine makers worldwide. Earlier in the year, the Wine and Spirit Trade Association took a collection of British gins and wines to Hong Kong in a bid to boost exports. According to Chinese customs data, last year saw mainland China import 7.5m litres of wine from around the world - a 17% increase on 2016, with a total value of ￡2.11 billion. 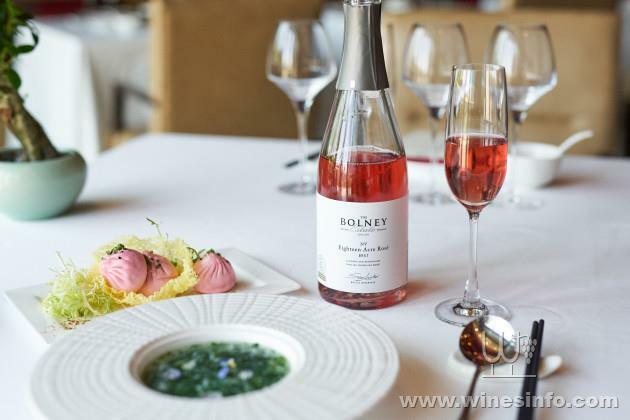 The first Bolney shipment has already arrived in the country where it was poured for at a dinner with Prince Andrew, The Duke of York. Bolney listings are also confirmed at other high-end locations, including the Park Hyatt, Guangzhou and the newly opened Edition Hotel, Shanghai.